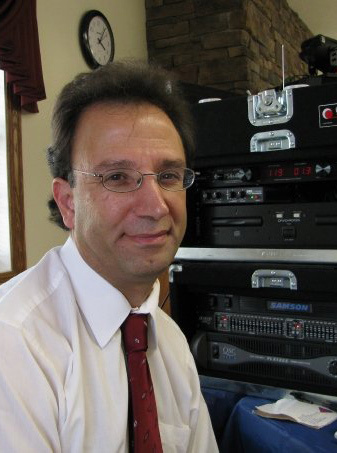 Gino Molica, owner of SOUND SENSATIONS DJ SERVICE, is a professional DJ serving Mansfield, Ohio, North Central Ohio and beyond. With 100’s of Weddings, Class Reunions, Company Christmas Parties, School Proms, Homecoming Dances, Graduation Parties and Anniversary Parties under his belt, Gino and SOUND SENSATIONS DJ SERVICE has the professionalism, integrity and experience you need at your special event! I have many years of experience with weddings, class reunions, corporate events, birthday bashes, etc. and have worked with customers with diversified needs. My main goal is to keep the dance floor filled with my experience and music inventory. We take requests from your guests all evening. If you can play most of what they want, the dance floor will stay busy. I also take it as a honor to be at your event, and want to partner with you to make the day/evening special. – Music catalog consisting of over 9600 hits! – No charge for setup or teardown time. SOUND SENSATIONS DJ SERVICE provides professional DJ services in Mansfield, Ohio, North Central Ohio and beyond. Or fill in our Contact Form / Save The Date form for more information.